A piece of electrochemically grown nickel. 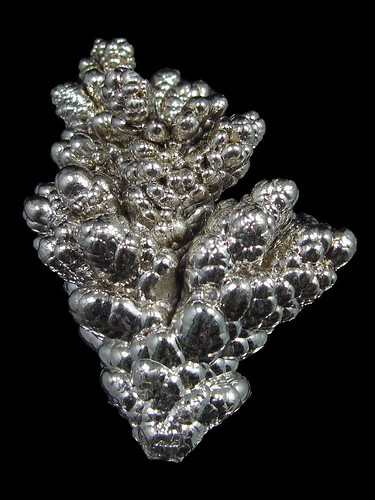 There are no real crystals present, because the nickel was deposited layer by layer. It is a by-product of galvanising also called electroplating.